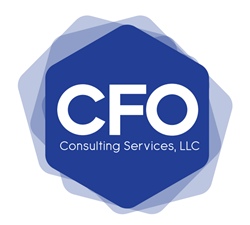 Following an article posted on CPA Practice Advisor, Lawrence Teicher, founder of CFO Consulting Services and leading Long Island CPA, discusses how many small businesses are missing out on time saving technologies. Lawrence Teicher, founder of CFO Consulting Services and leading Long Island CPA, affirms that many small businesses are overlooking software that could save them time when organizing accounts. According to a March 3rd article posted on CPA Practice Advisor titled “Small Businesses Missing Out on Time-Saving Tech,” managing a business can be extremely stressful, especially when trying to keep all the accounts in order, documenting payroll and organizing tax documents. While some small businesses have accounting departments to take care of these issues, most do not. Instead, it’s up to the business owners to make time to sort out financials. The article says many small business owners are overlooking simple software options that can help organize their accounts and save them time. In fact, the article reveals a GoDaddy study found that over 50 percent of small businesses still use spreadsheets and manual processes to track finances. The study also concluded that 40 percent of small business owners say bookkeeping and taxes are the most difficult part of owning a company, yet 46 percent don’t even work with an accountant.